CE Class For Real Estate Agents by Juanita McDowell: The Balancing Act: Taking Care of Real Estate, Clients, and Self. 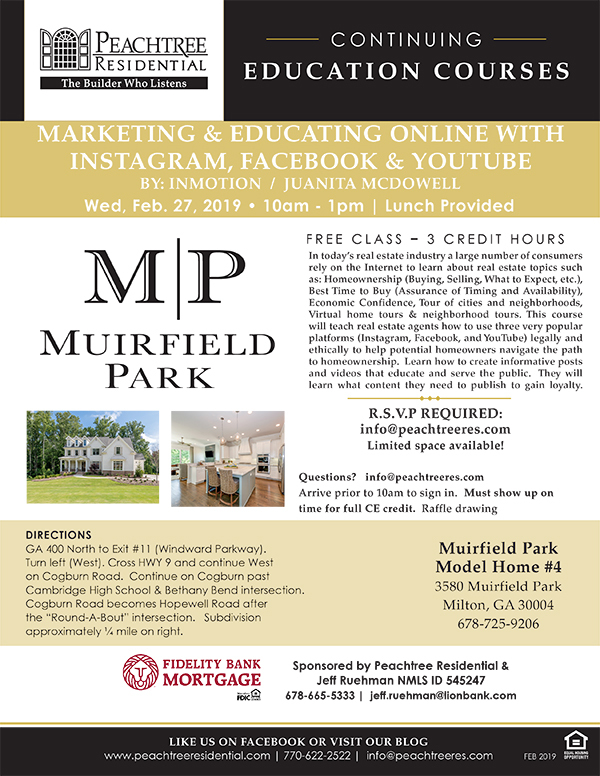 Peachtree Residential and Fidelity are sponsoring a three hour CE Class For Real Estate Agents at Muirfield Park by Juanita McDowell. 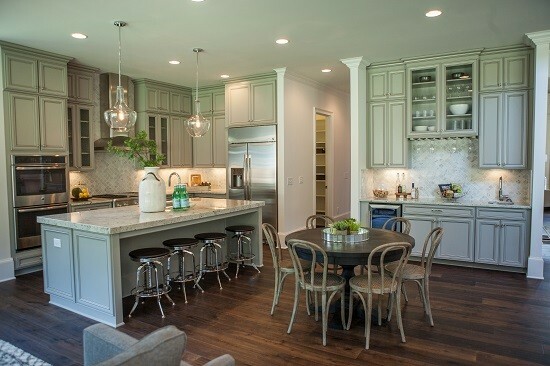 The class is May 4th and is The Balancing Act: Taking Care of Real Estate, Clients, and Self. Watch for details coming soon to sign up on our new Peachtree Residential website page just for agents! Check out more information on what the class covers. It’s a great mash up of productivity hacks, smart/efficient marketing, and work/life balance strategies. Successful Realtors know that success depends on having the right balance in their day to day work with their clients, their peers, and themselves. Realtors must also have the mindset for the market and more importantly, they need proper systems in place in order to operate efficiently. This class will give Realtors the necessary tips and tools to accomplish overall balance in their real estate life. With the latest apps, tools, and business strategies, this class will help them manage their social channels, operate their business, and provide all-around better service to their clients. Sound like a class you may enjoy? 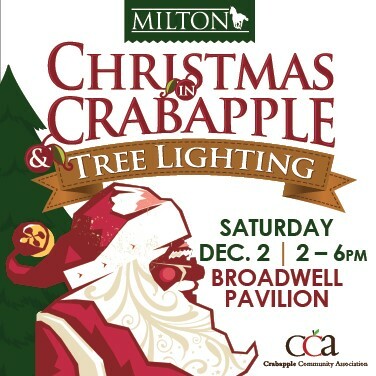 Watch for the RSVP instructions and be sure to save the date! 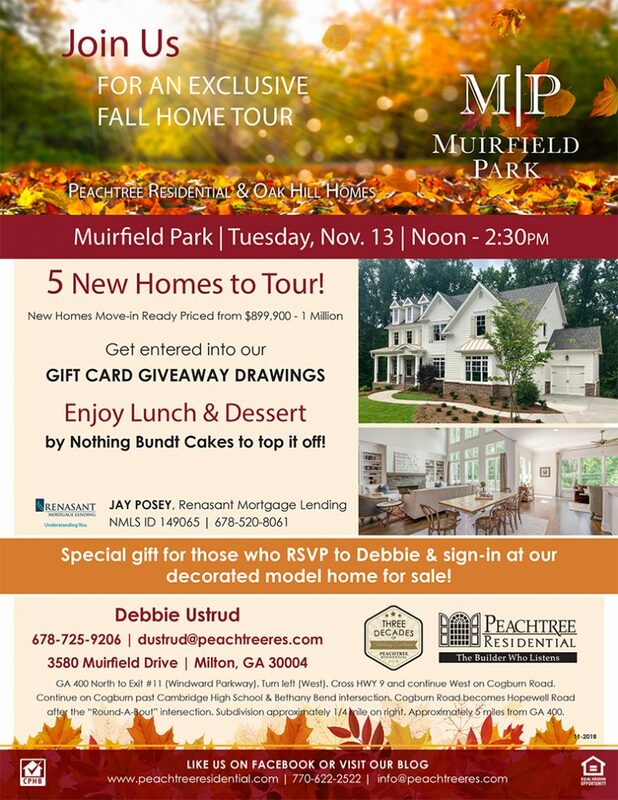 Muirfield Park is one of Peachtree Residential’s newest communities and a decorated model home is almost complete. 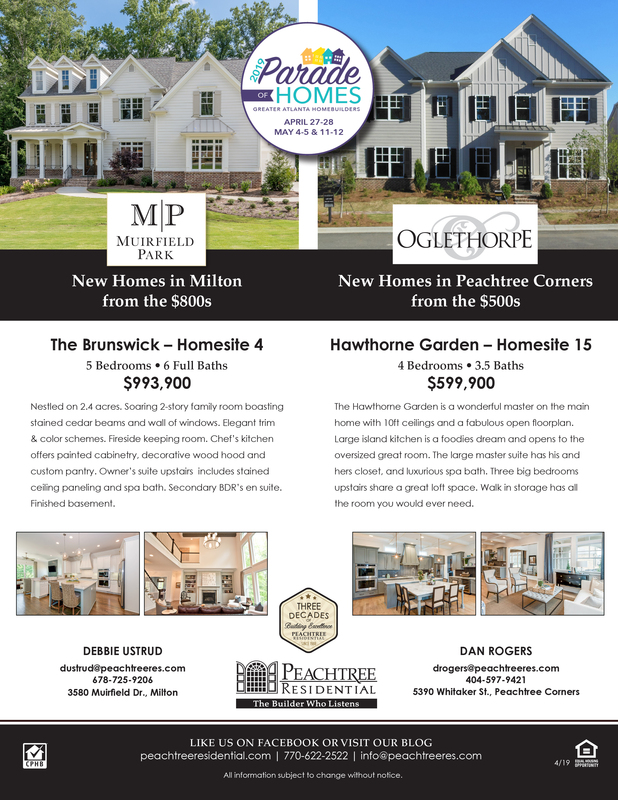 Several homes are underway including two presales. 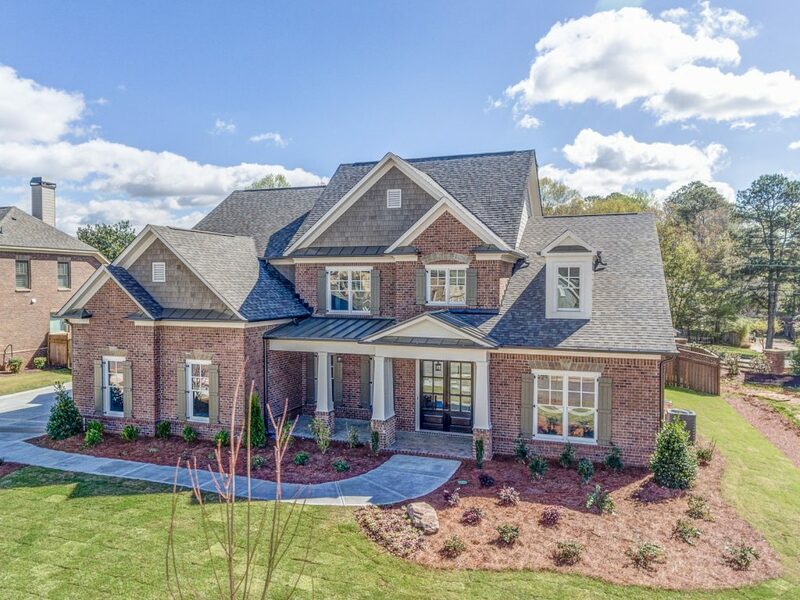 This luxury gated neighborhood only has 14 homesites. 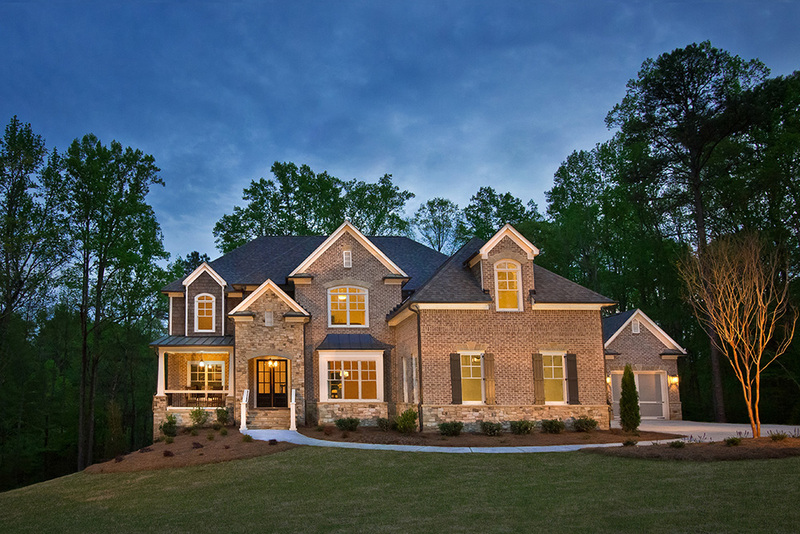 The neighborhood has wooded acreage in a private setting. 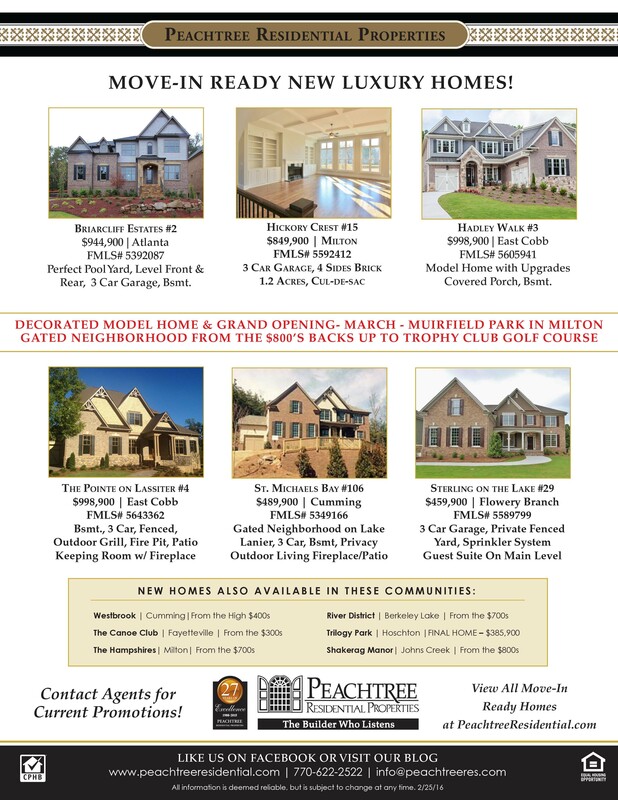 It is located on Hopewell Road approximately 5 miles from GA 400 and is near the Trophy Club golf course and Bell Memorial Park!